First Grace extends our condolences to the family of Jackie Shields who passed away recently. 2. 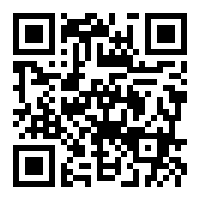 Use your smart phone and scan the UC Code below. Send a text 73256 and in the body of the message type FIRSTGRACENOLA GIVING and follow the prompts. Standard text message rates do apply. First Grace is an urban community of faith embracing all of God’s children as persons of sacred worth, regardless of station in life, race, ethnicity, sexual orientation, or gender identity. We invite and welcome all persons to join us as disciples who believe in the transforming love of God revealed in Jesus Christ from which nothing can separate us. Sunday 11:10am service is live streamed on Facebook Live. Please follow the Facebook icon above to view.